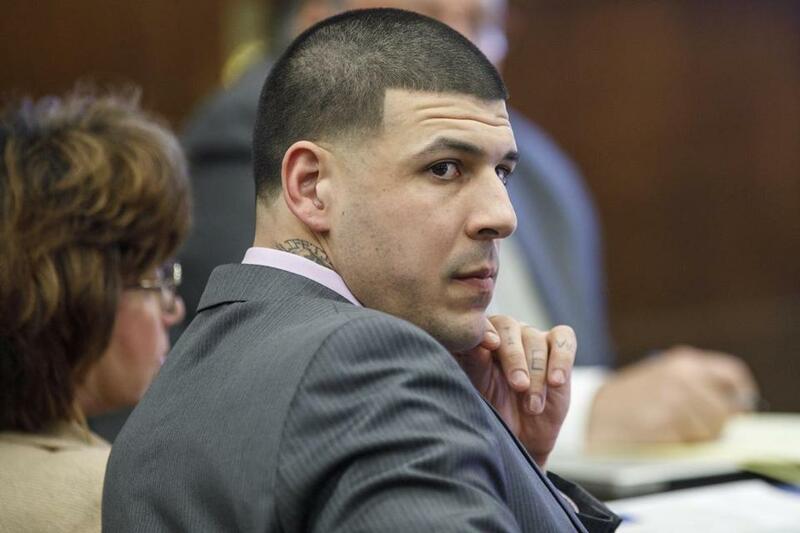 Aaron Hernandez during his 2017 trial for the murders of Daniel de Abreu, and Safiro Furtado, for which he was acquitted. 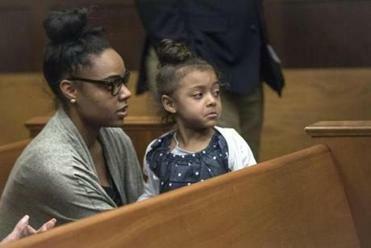 Shayanna Jenkins Hernandez, the mother of Aaron Hernandez’s daughter, has filed suit against the estates of three men the former New England Patriots star was accused of killing, seeking to guarantee the child will receive proceeds from the sale of Hernandez’s former home. She filed the suit in Bristol Superior Court last month on behalf of her daughter, Avielle Hernandez. The lawsuit seeks a judgment that the homestead declaration filed by Hernandez on his North Attleborough home in 2013 remains in effect for his daughter’s benefit. State law allows homeowners who have filed a “declaration of homestead” to protect the value of their property, according to the Massachusetts Secretary of State’s office. Specifically, the declaration can protect against seizure, execution on judgment, levy or sale for the payment of debts up to $500,000 per home. Avielle Hernandez, who is 5, has moved out of the home to facilitate a court-ordered sale, according to court documents. She currently lives with her mother in Rhode Island. The suit names representatives of the estates of Odin Lloyd, Daniel de Abreu, and Safiro Furtado, as well as Hernandez’s estate, as defendants. Shayanna Jenkins Hernandez and Avielle Hernandez in 2017. Hernandez was convicted in Bristol Superior Court in 2015 of murdering Lloyd in an industrial park near the football star’s North Attleborough home. That conviction was vacated because of Hernandez’s suicide in April 2017, which occurred five days after he was acquitted of murdering de Abreu and Furtado. The value of Hernandez’s former property in North Attleborough is estimated at more than $1.2 million. Douglas K. Sheff, the lawyer for Lloyd’s mother, said the complaint has no merit. The suit seeks a result that is opposed by the personal representative of Hernandez’s estate, “who has filed a motion to release all homestead restrictions,” he said in a statement. Lloyd’s family has filed an ongoing wrongful death suit against Hernandez’s estate, Sheff said. George Leontire, a lawyer for Jenkins Hernandez, rejected Sheff’s assertions. An attorney for the de Abreu and Furtado families, William T. Kennedy, declined to comment on Jenkins Hernandez’s suit. Akilah Johnson and Milton J. Valencia of the Globe staff contributed to this report. Danny McDonald can be reached at daniel.mcdonald@globe.com. Follow him on Twitter @Danny__McDonald.